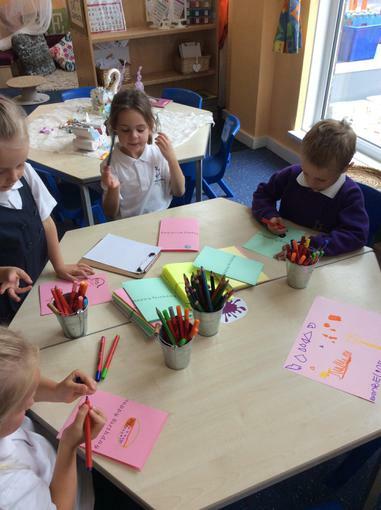 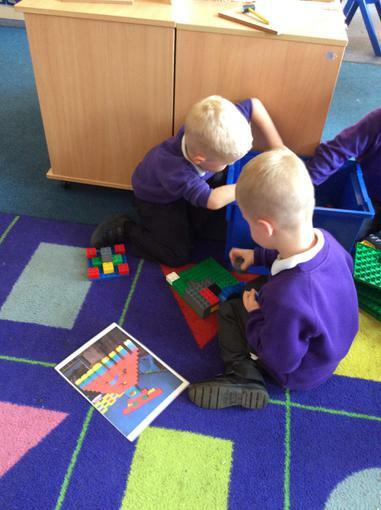 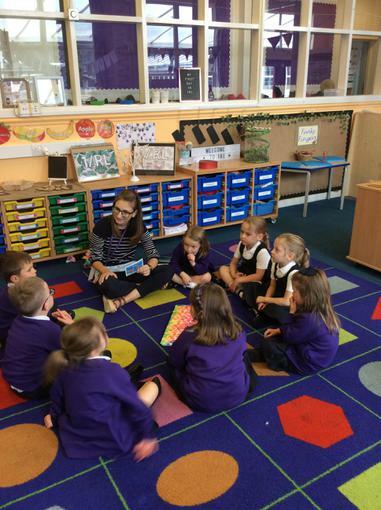 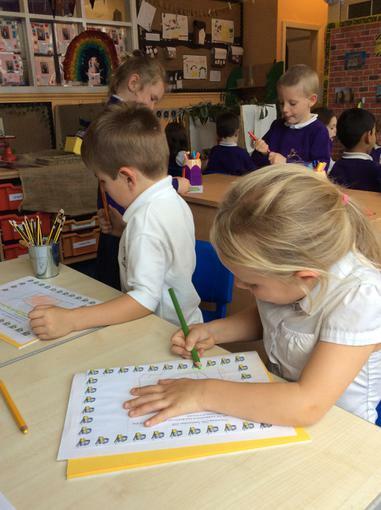 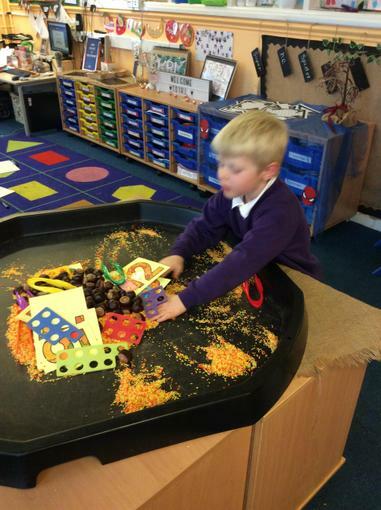 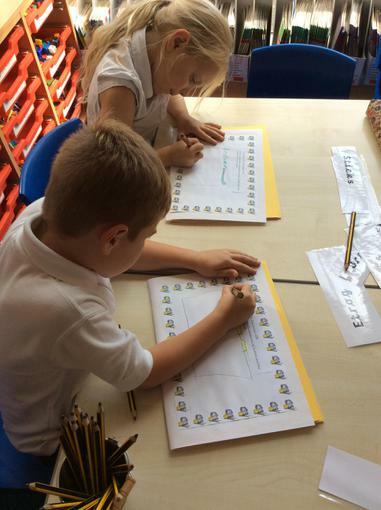 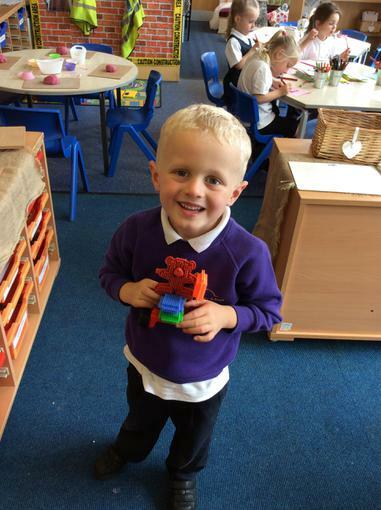 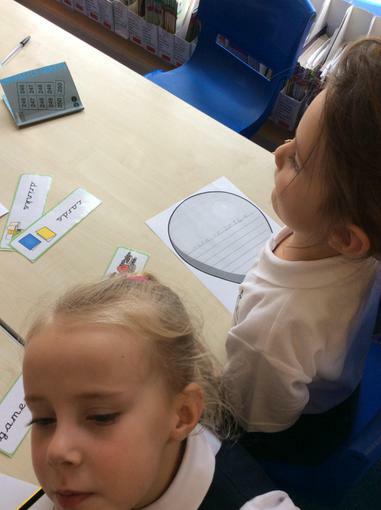 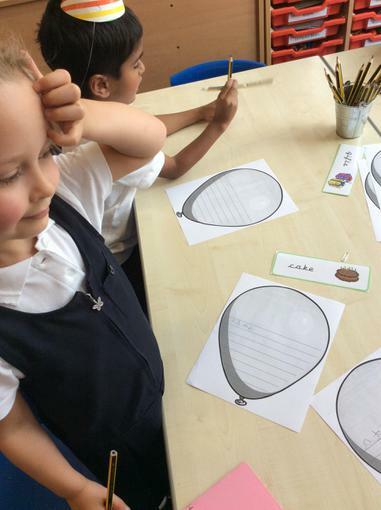 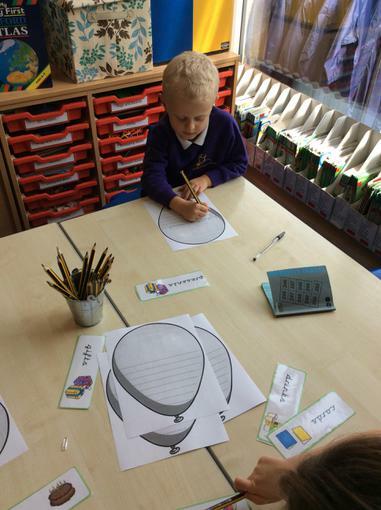 On Thursday afternoons Mrs Kennerley teaches in 1RL. 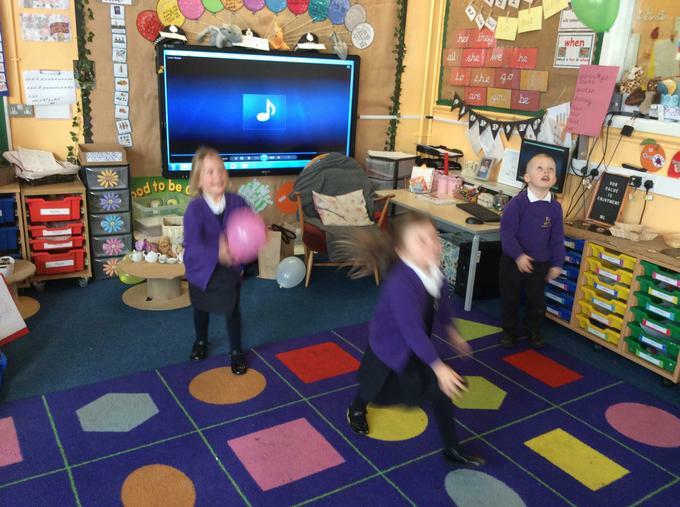 During this half term we are going to be doing Music and RE. 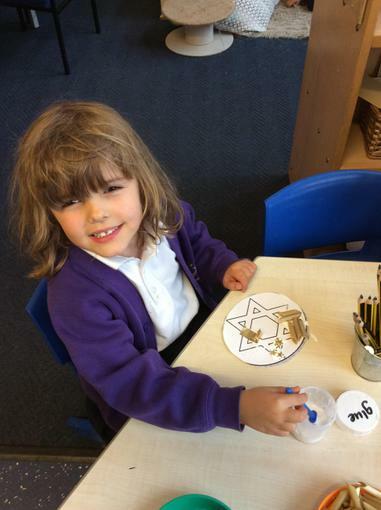 Our RE topic this half term is Judaism. 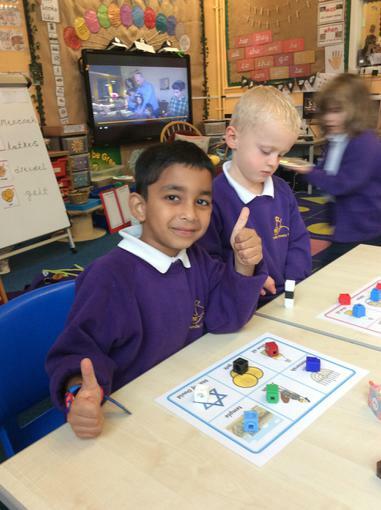 On Thursday afternoon we watched 'The Jewish Story of Hanukkah'. 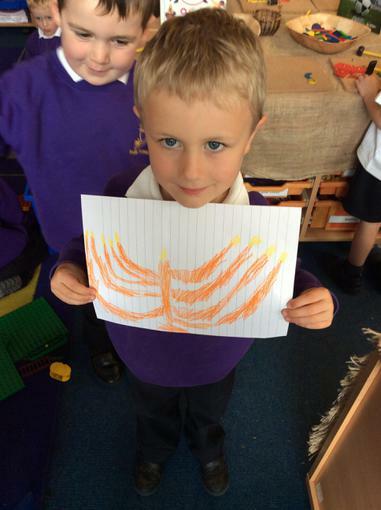 We then talked about a special candle called a Menorah which is lit during the celebration of Hanukkah. 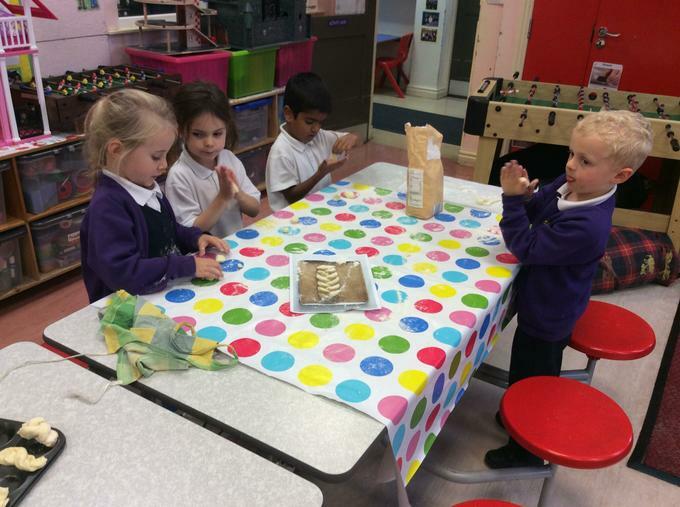 We discussed how this was similar and different to candles we might use during our own celebrations. 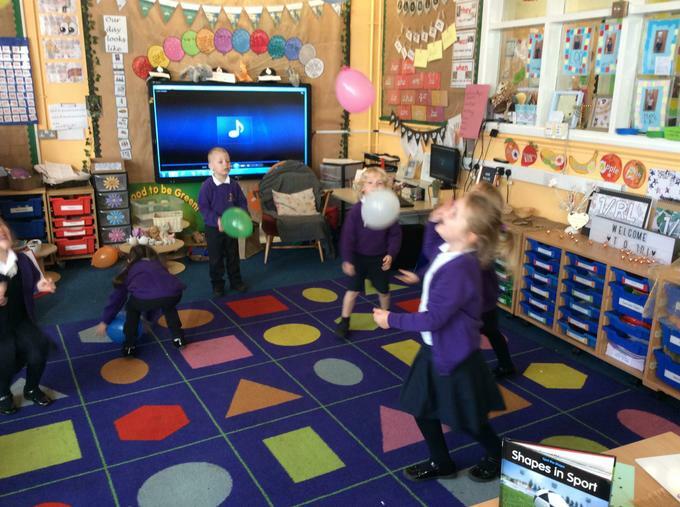 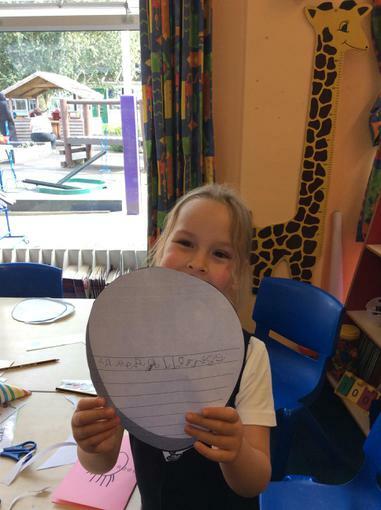 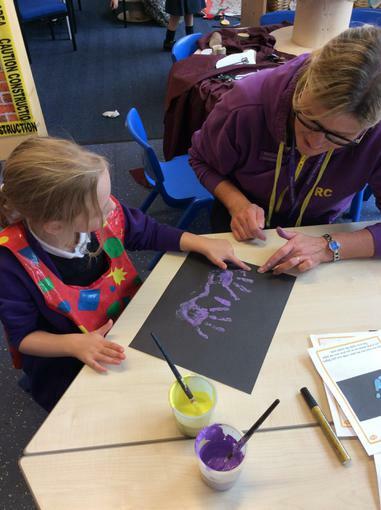 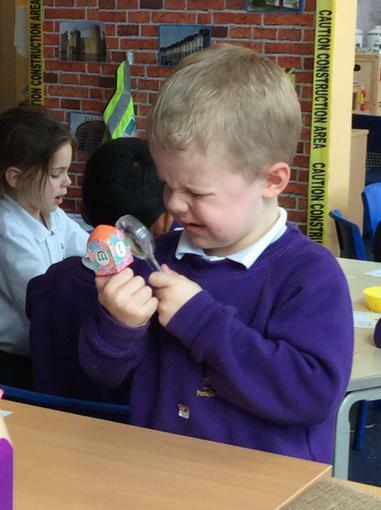 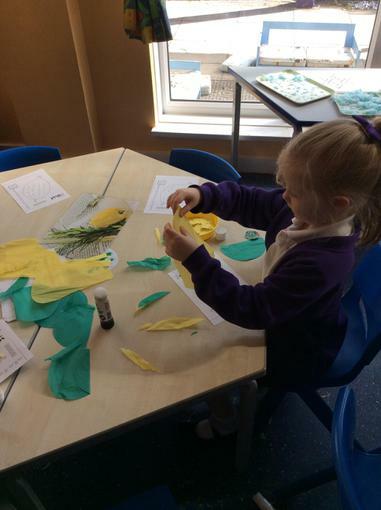 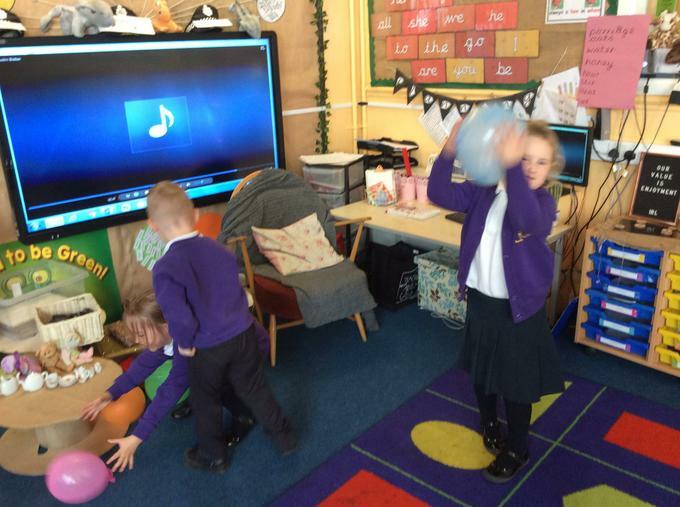 We joined in lots of fun activities based around a 'Menorah' theme. 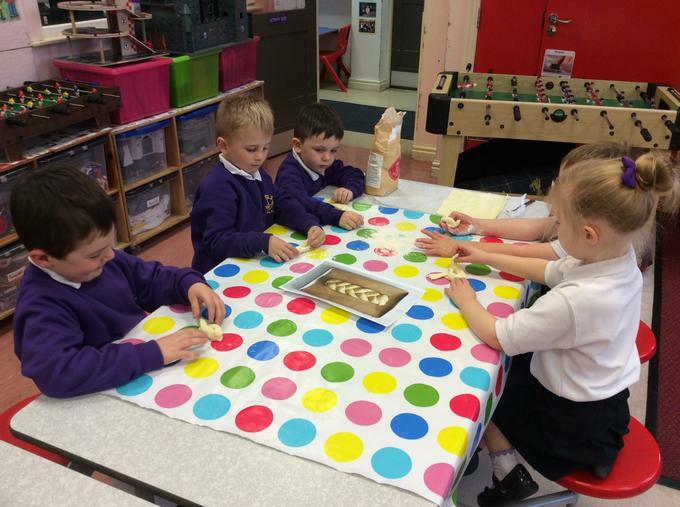 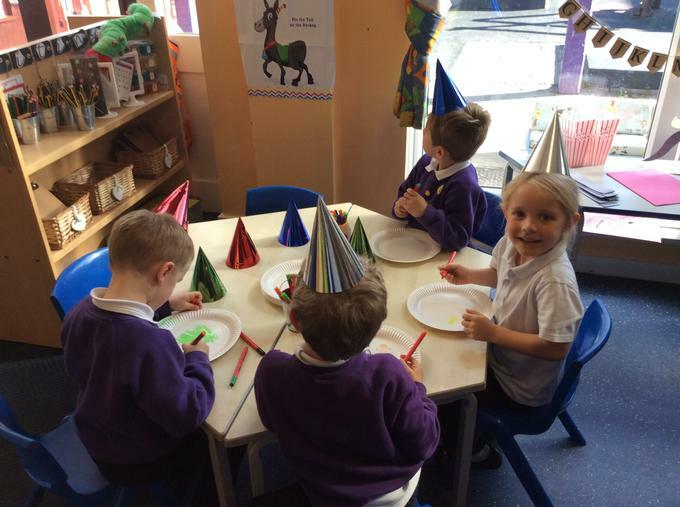 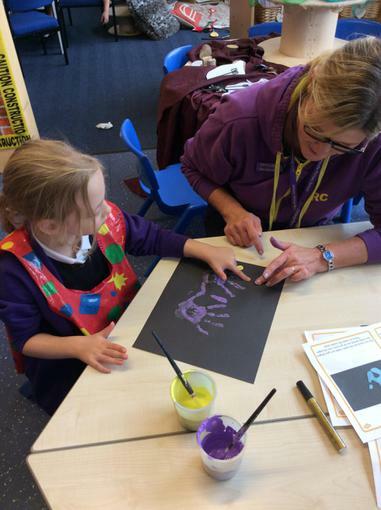 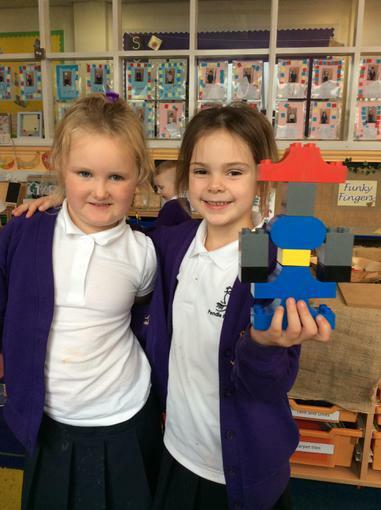 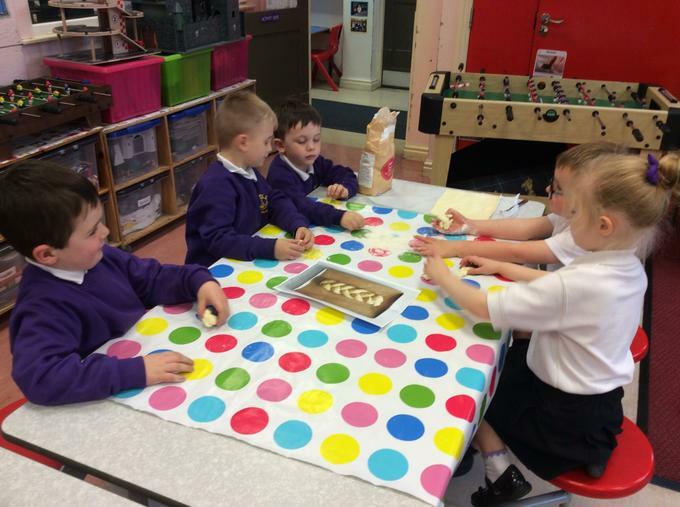 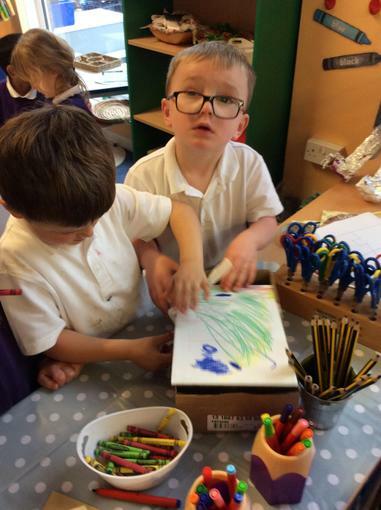 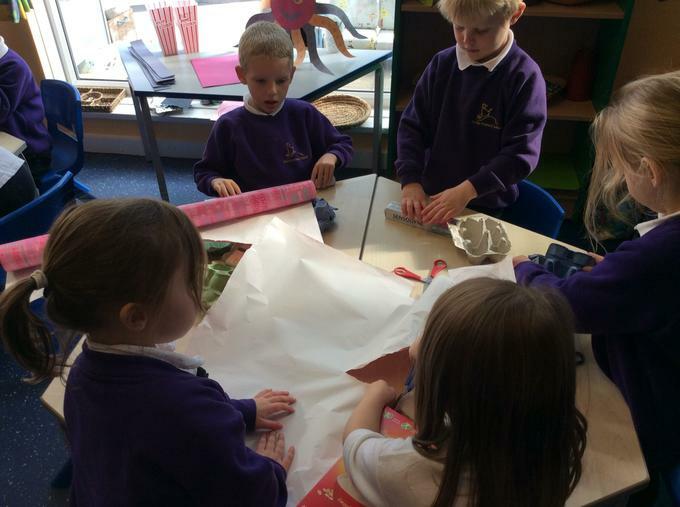 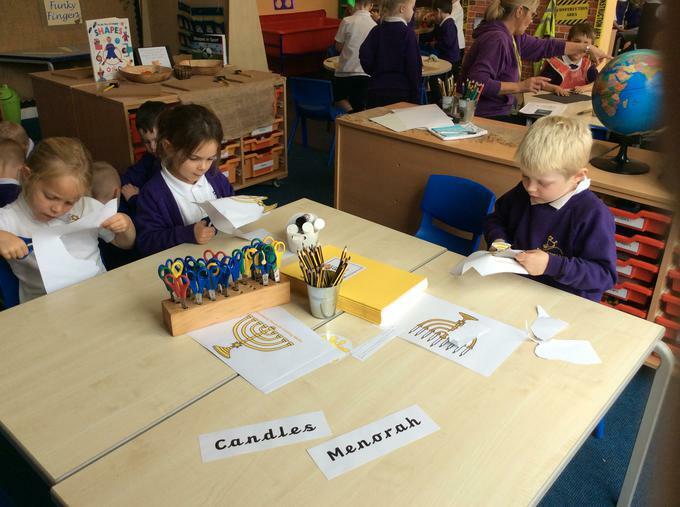 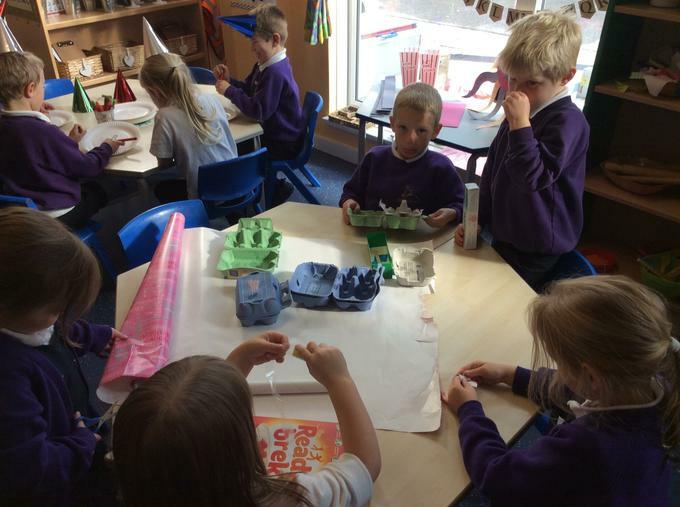 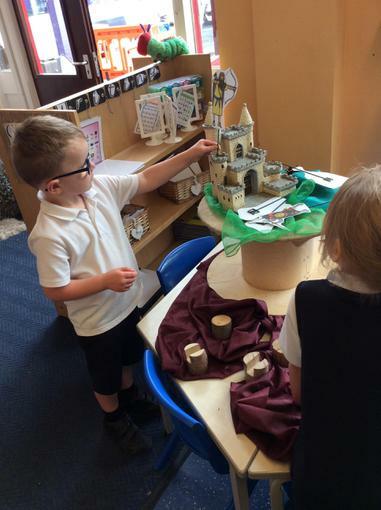 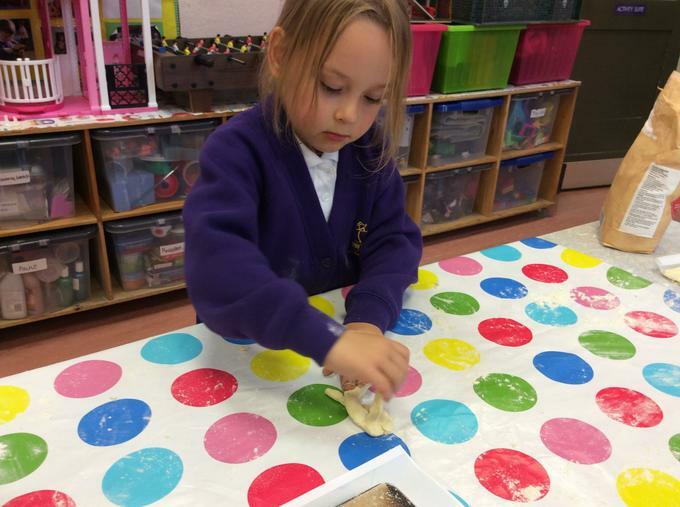 We made Menorah handprints, created Lego Menorahs, made candles for the Menorah mats on the malleable table and even role played the story with stick puppets. 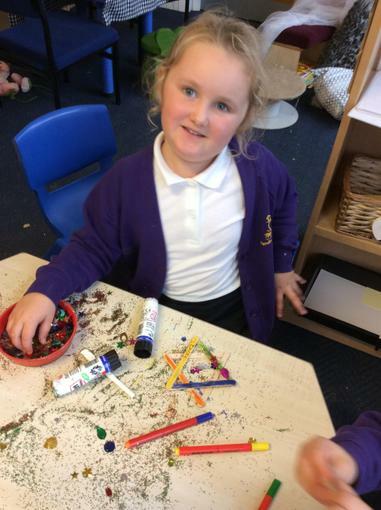 What a busy afternoon! 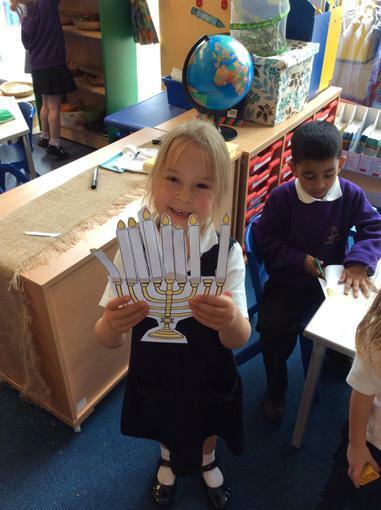 Today we explored the games, food and gifts associated with the Hanukkah celebration. 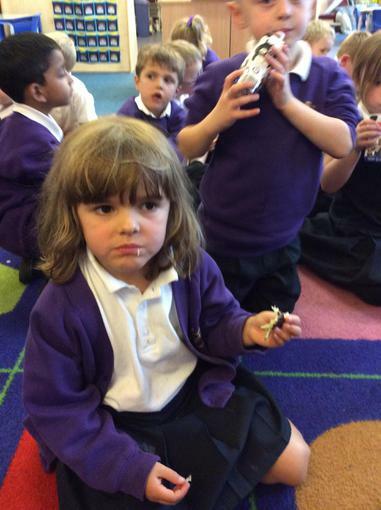 We watched a video of a family celebrating Hanukkah. 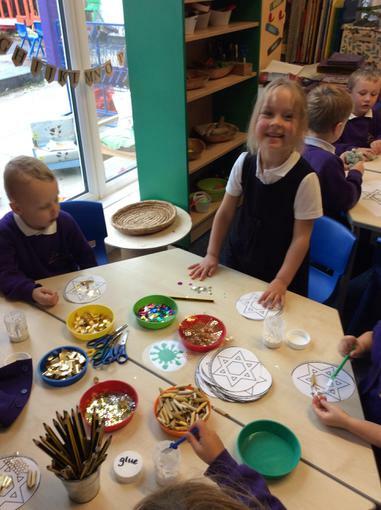 We saw that they ate special potato cakes called Latkes and the children played games using spinners called Dreidels. 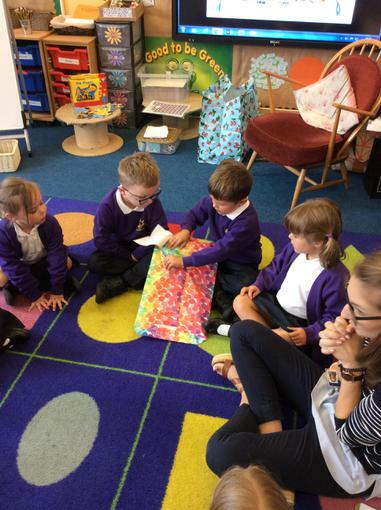 We now also know that during this special celebration Jewish families give one another gifts. 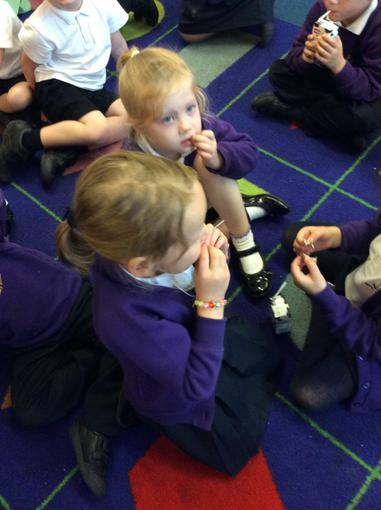 We saw the children receive toys and gold coins called Gelts. 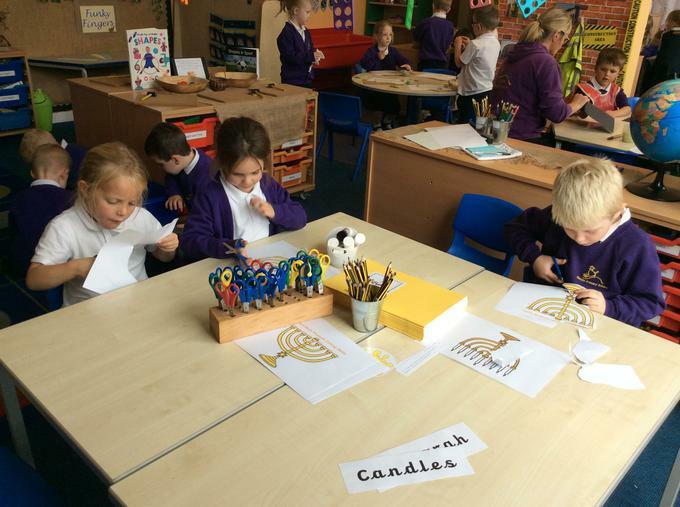 We had a very busy afternoon of Hanukkah activities. 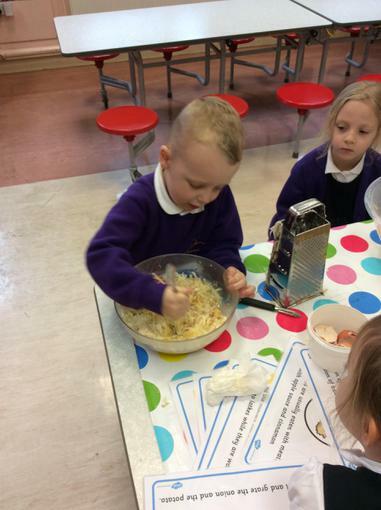 We followed a recipe and made our own Latkes. 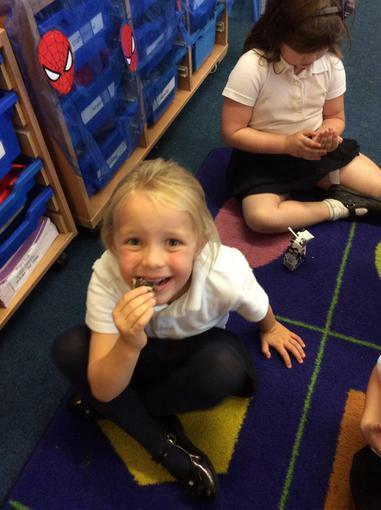 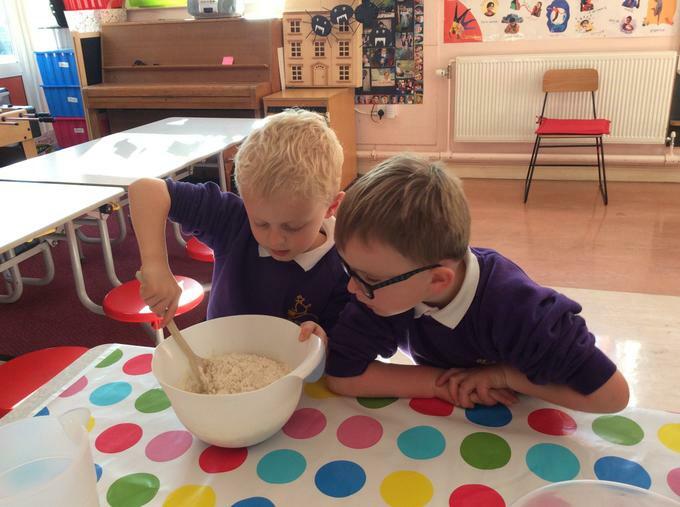 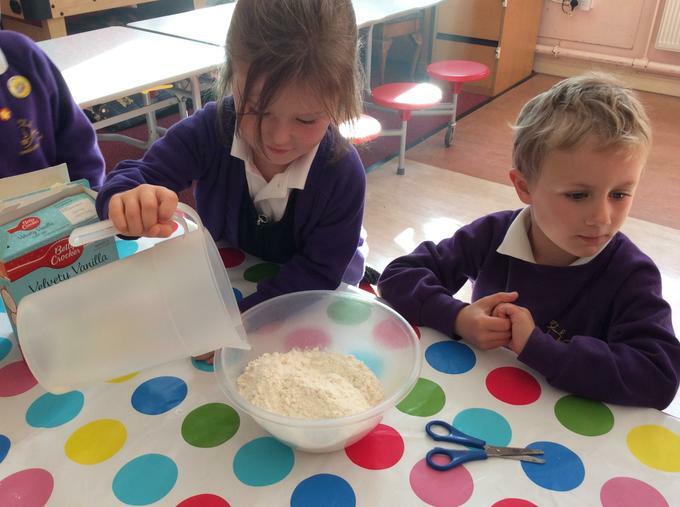 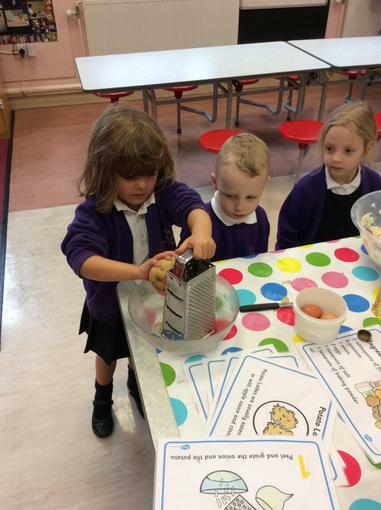 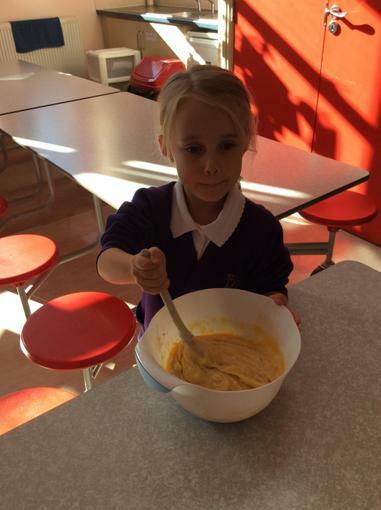 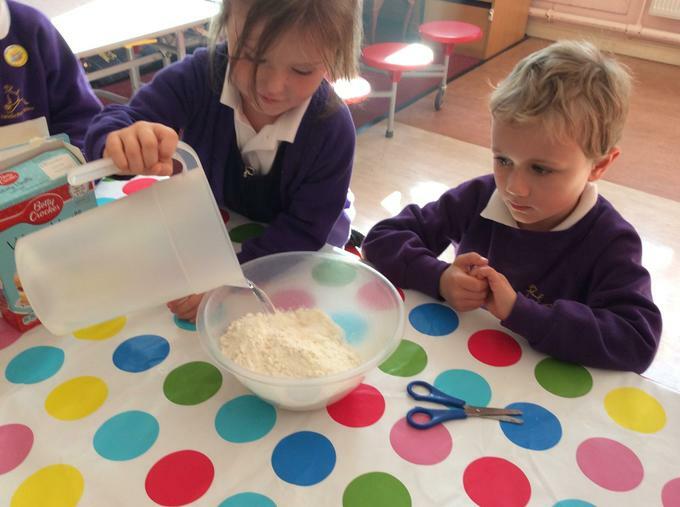 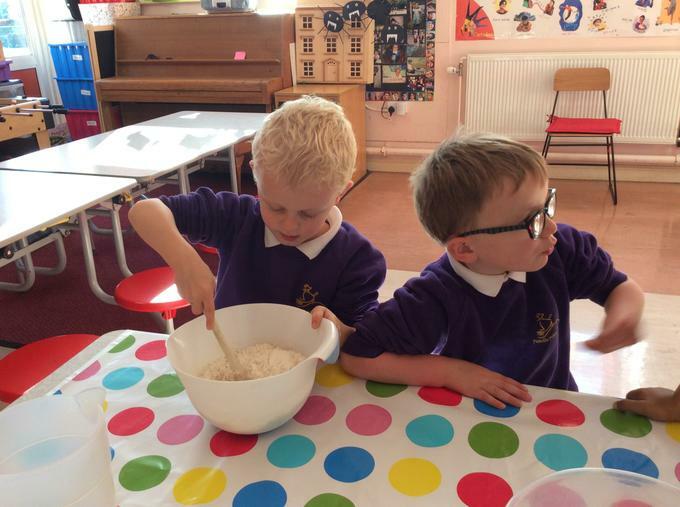 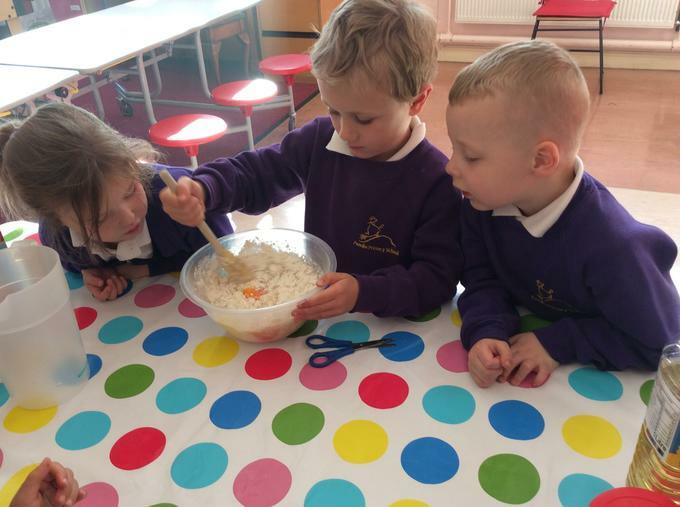 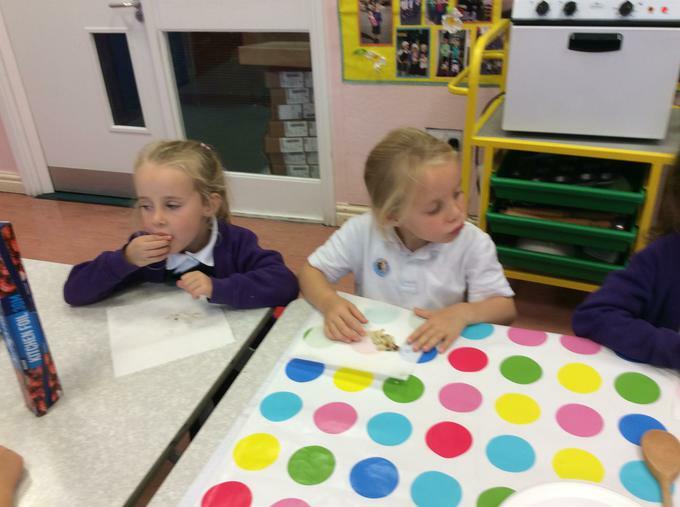 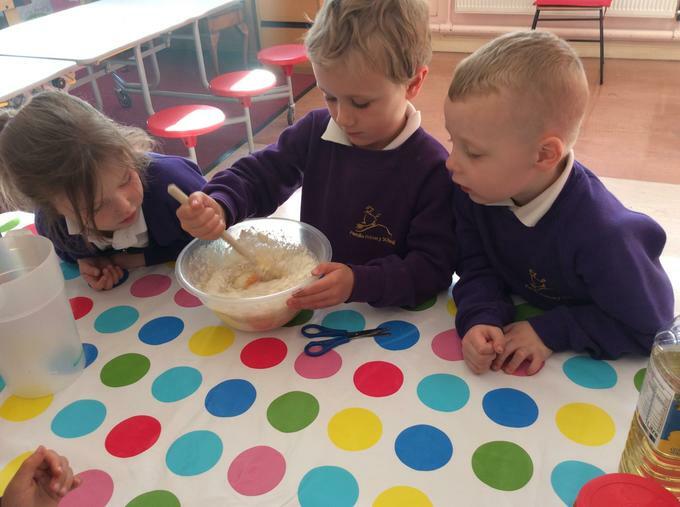 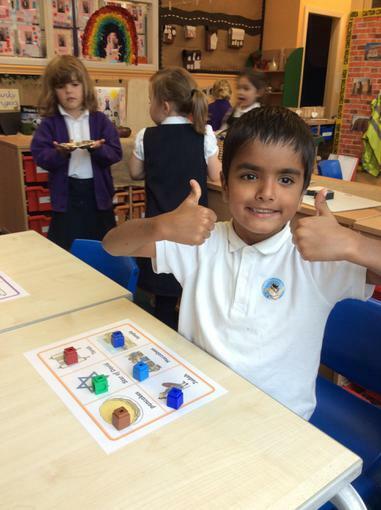 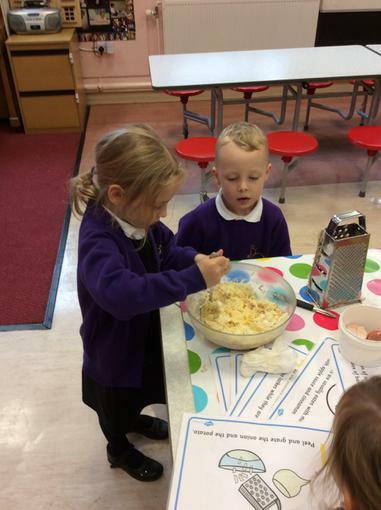 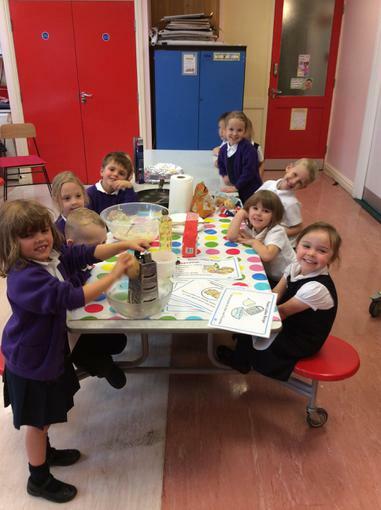 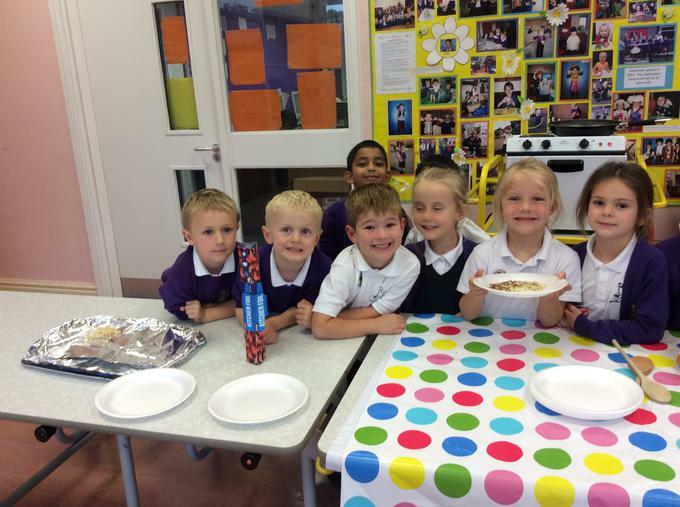 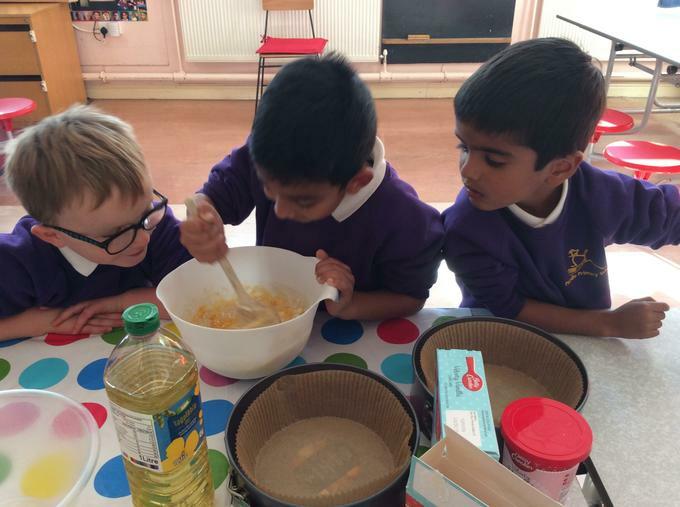 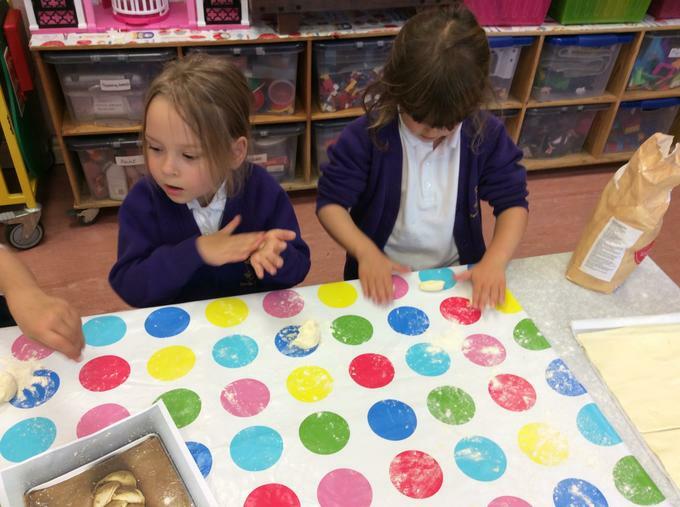 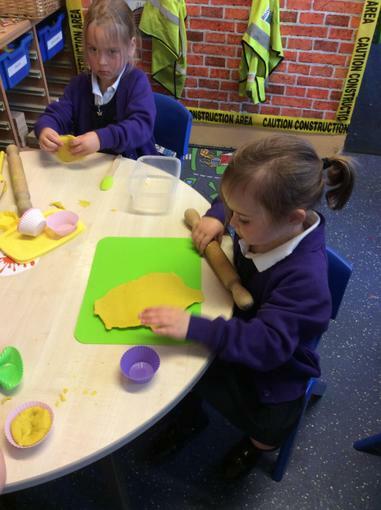 We then tasted what we had made, yummy! 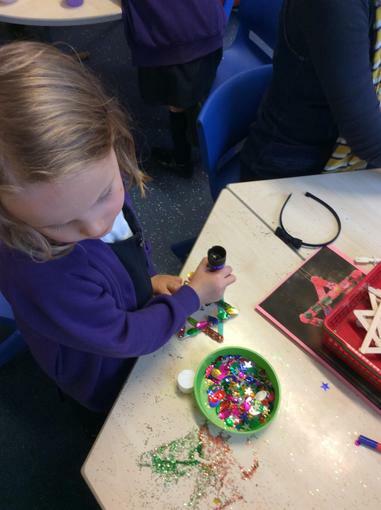 We also decorated Gelt coins using lots of lovely shiny craft materials. 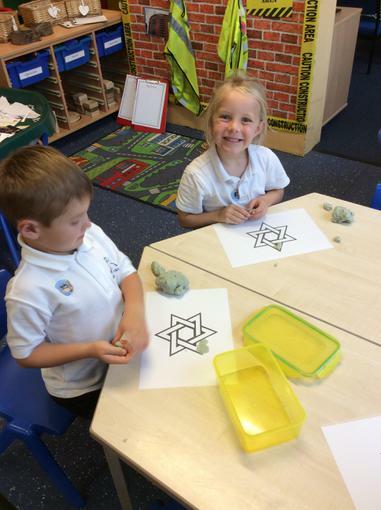 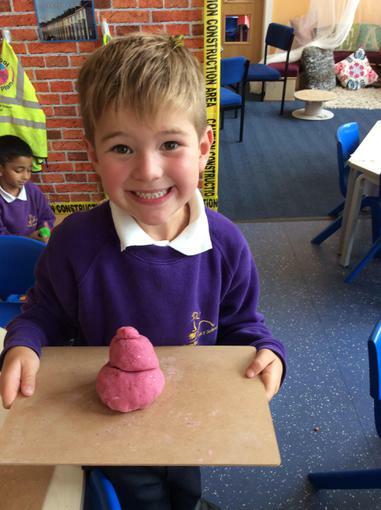 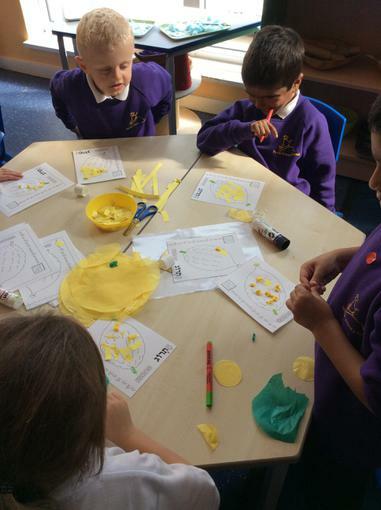 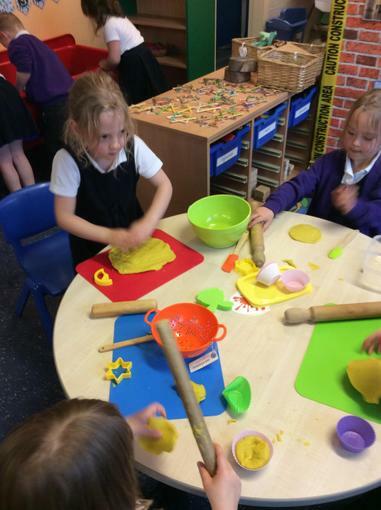 Some children also played Hanukkah bingo and others made the Star of David using play dough. 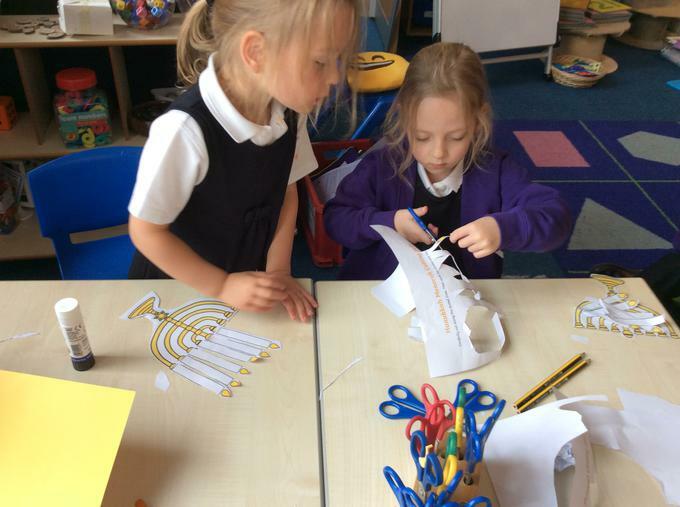 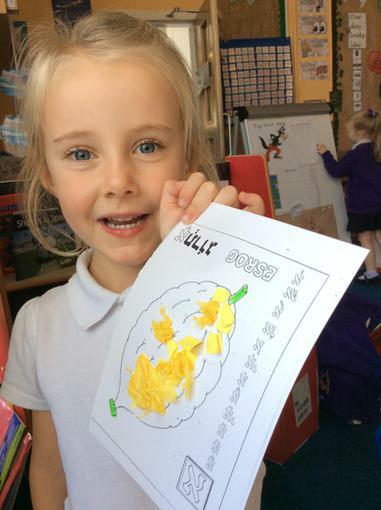 Today we found out all about the Jewish festival of Sukkot. 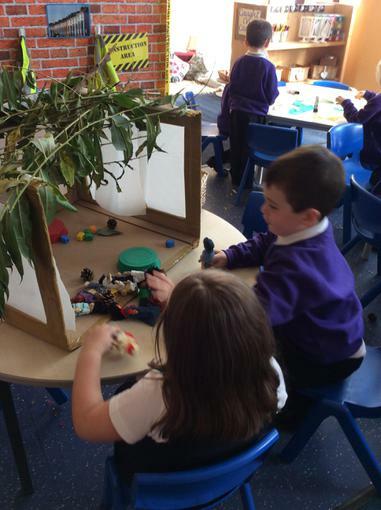 We know that this is a special time when Jewish families celebrate together by building Sukkahs. 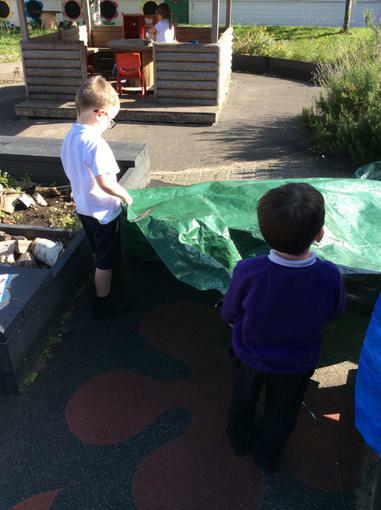 A Sukkah is a temporary construction with three walls and a roof of natural materials. 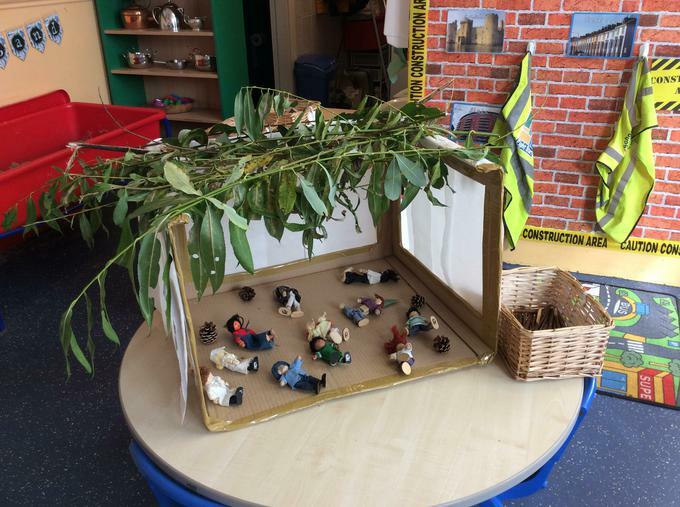 Families eat, study, sing and even sometimes sleep in the Sukkah during the celebration. 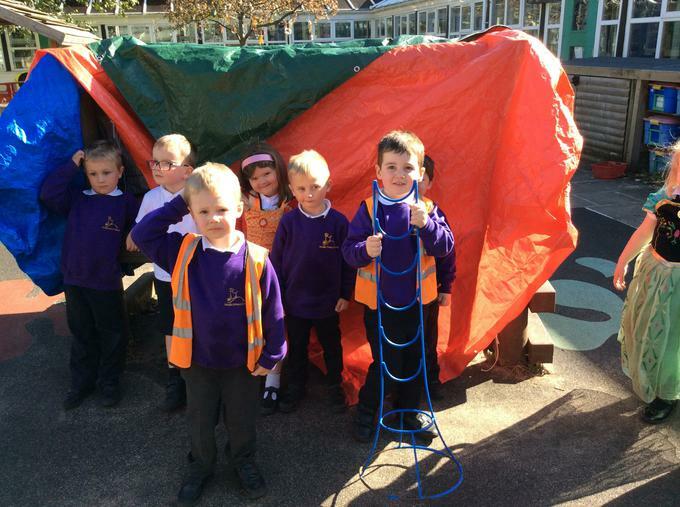 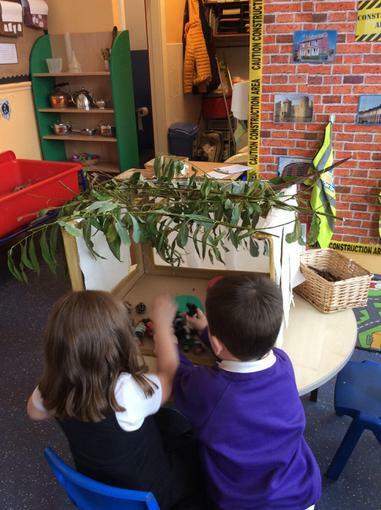 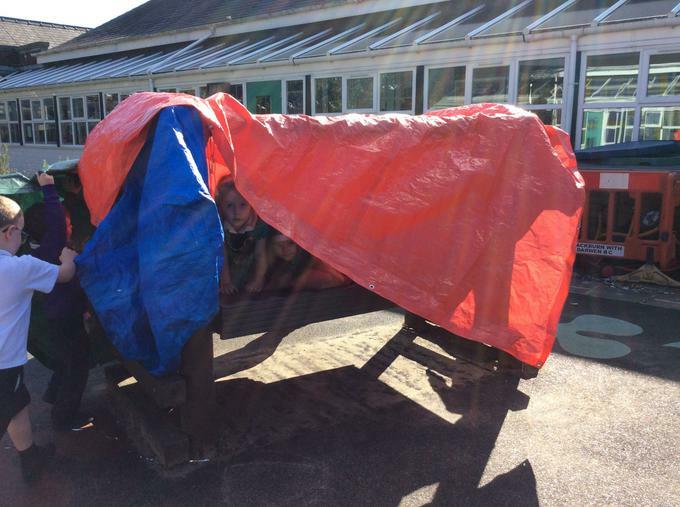 Today we constructed our own Sukkah 'dens' outside and played with figures in a mini Sukkah Mrs. Kennerley had made. 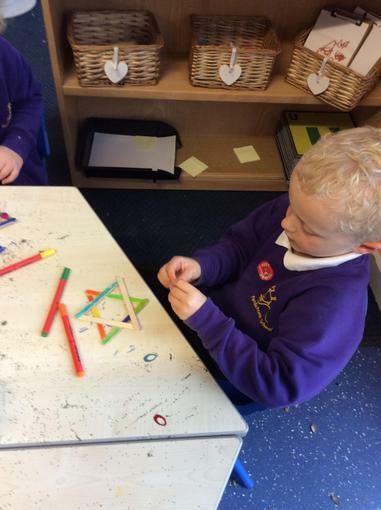 We also took part in various Sukkot themed craft activities too. 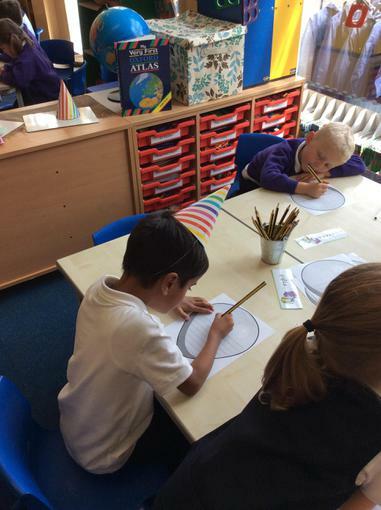 Today we looked at celebrations we have experienced. 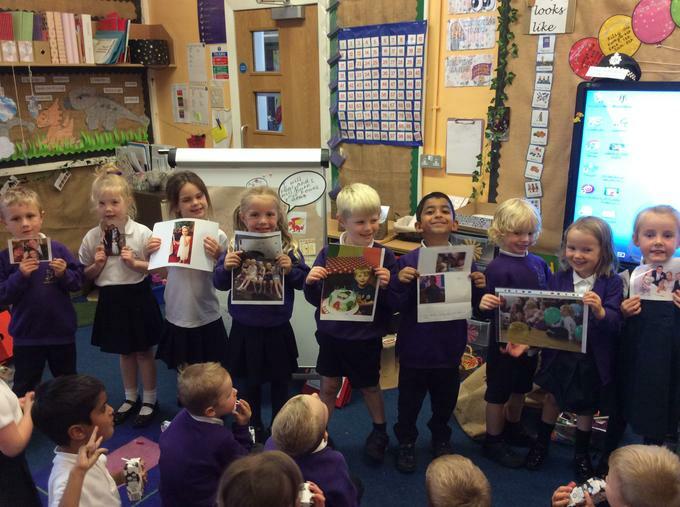 Lots of us brought in photographs from home showing us at special celebrations. 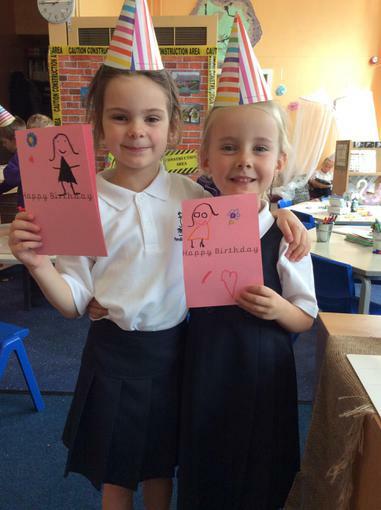 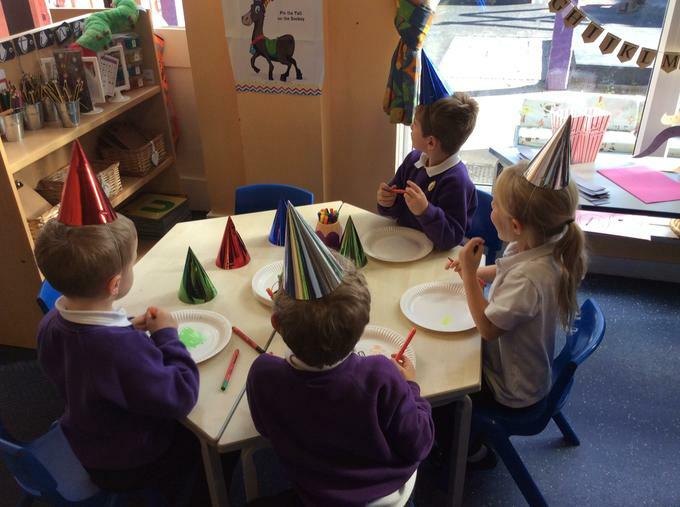 We saw photographs of Christmas parties, christenings, weddings and birthdays! 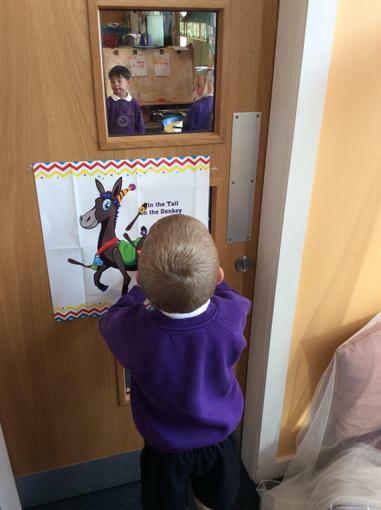 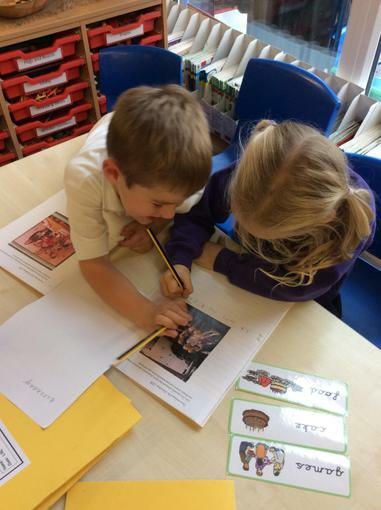 We talked about the photographs and noticed the special clothes, food, decorations and gifts! 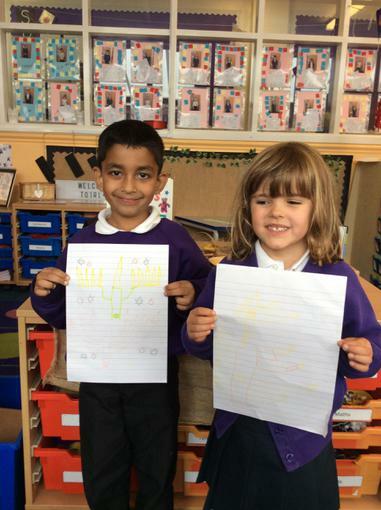 We really enjoyed listening to each other describe these special times in our lives. 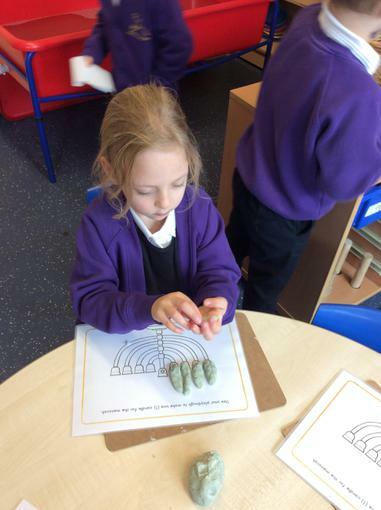 Today we found out all about Shabbat. 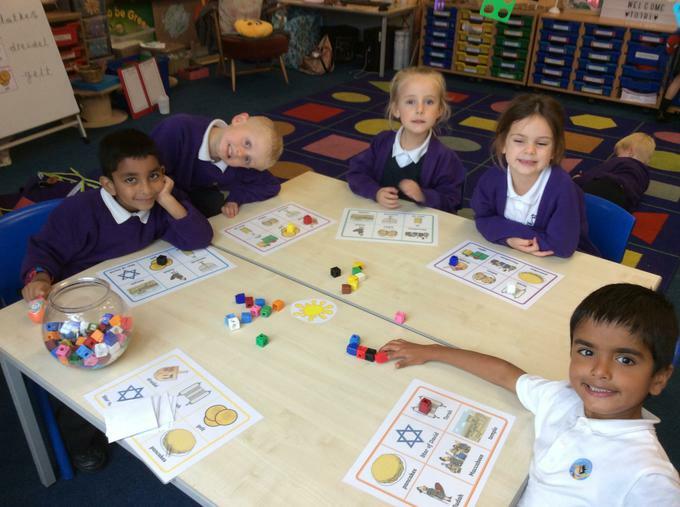 Shabbat is a special day for Jewish people. 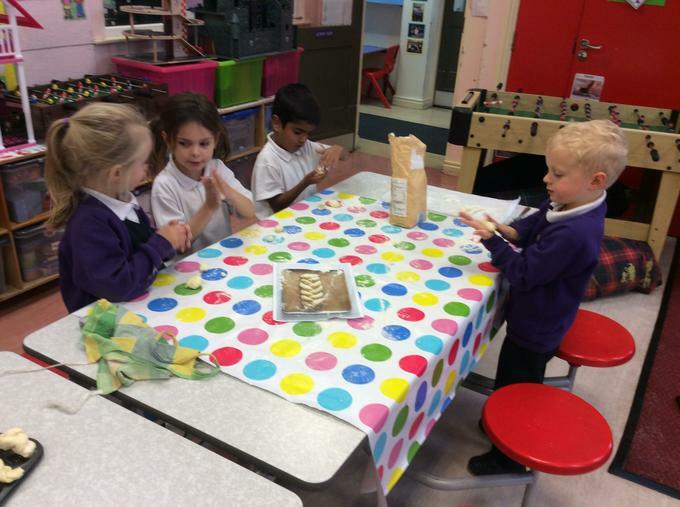 The family gathers for a special meal. 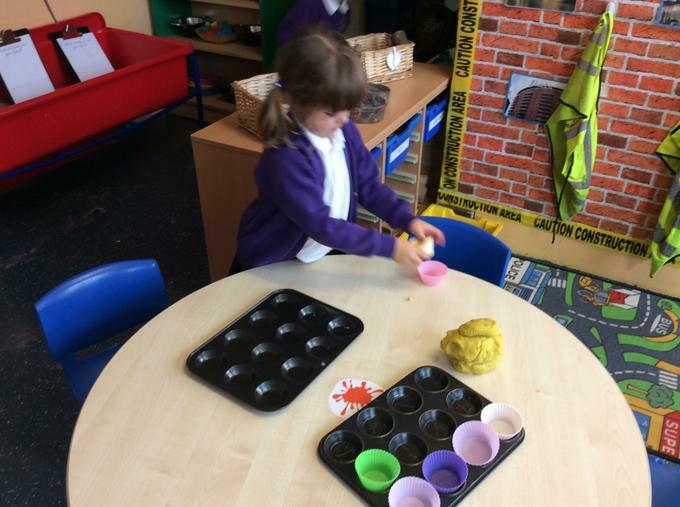 They use kiddush cups for wine or grape juice and bake bread called challah. 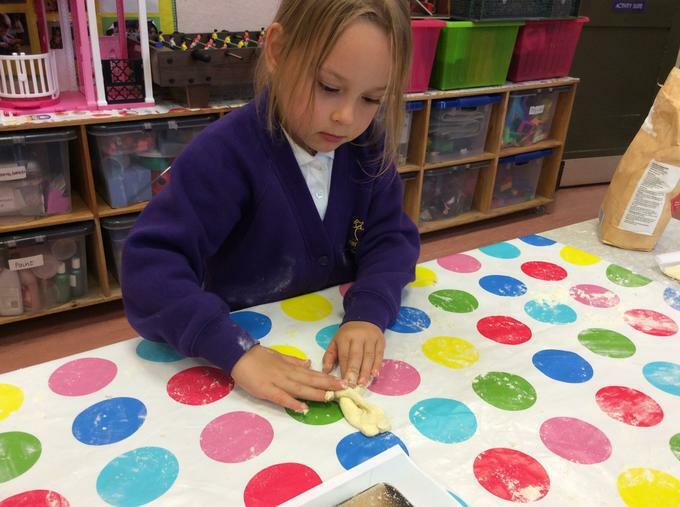 We really enjoyed braiding, baking and tasting our own challah creations.